There are lots of relatively small and simple ways you can move towards zero waste. 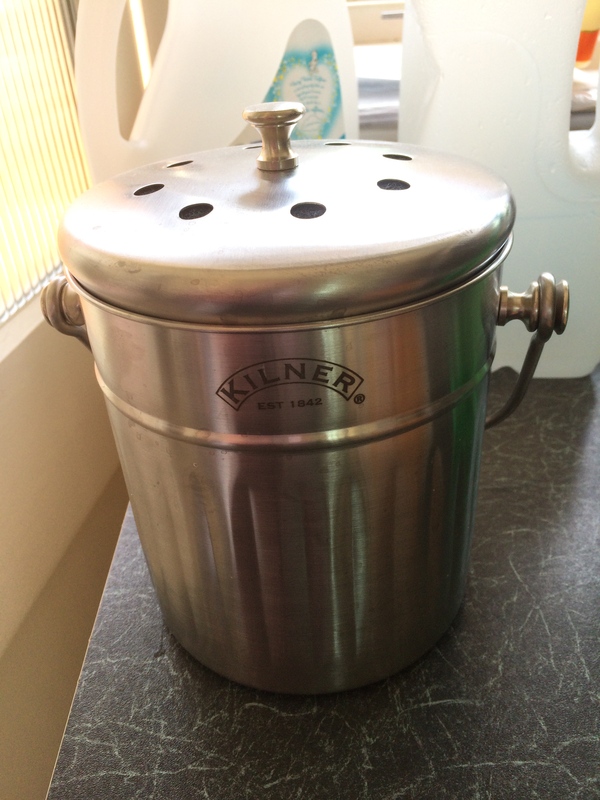 We stopped being lazy and bought a Kilner 2 Litre Kitchen Composter, Silver for the kitchen and built a compost bin for the garden. 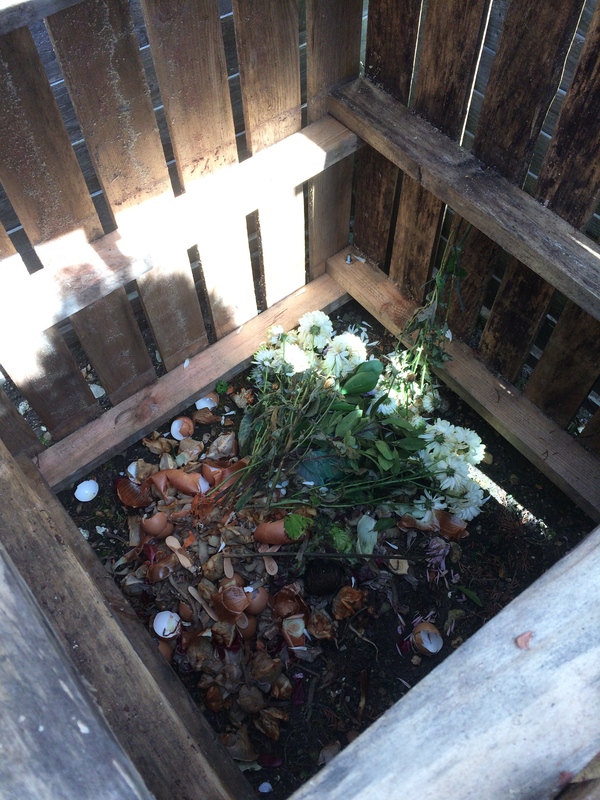 We aim to use the compost on our flowers and plants. At a previous property, we had a food waste bin but our local council don’t offer that service. We needed to stop perfectly good organic matter from going to landfill. 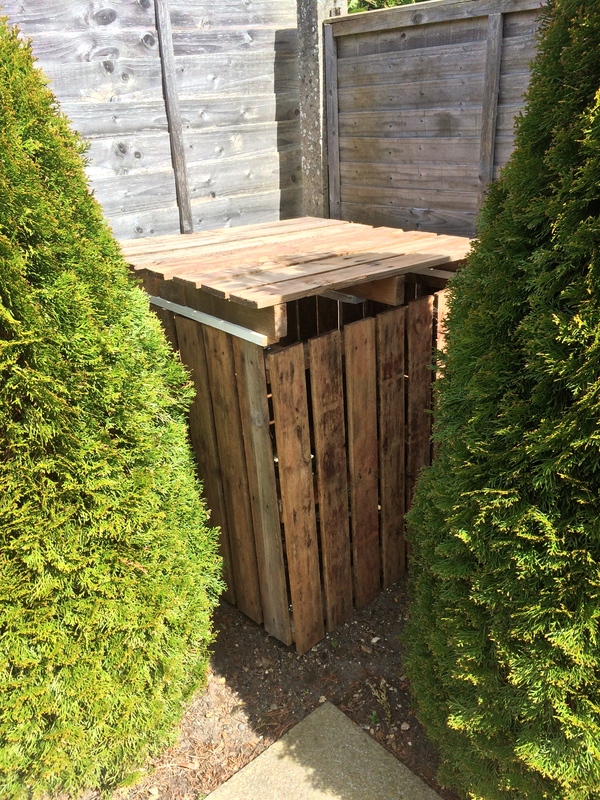 We made it from old pallets, as some builders were doing work at the end of my brother’s garden. We just asked and they were happy for us to have as many as we liked. This took 4 pallets, we used the offcuts to build a lid by securing it with an old piece of wooden batten we had taken out of our house. So here is the start of our compost heap! I took the idea partly from copying what my brother had done and from a book called The Complete Tightwad Gazette . I simply used large bolts instead of wire coat hangers because my brother offered them to me free!